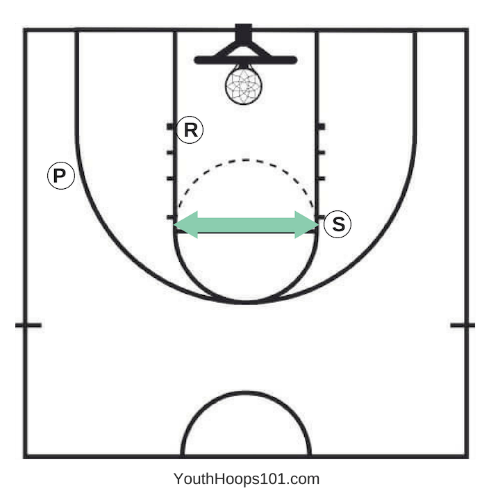 Here are a couple of my favorite basketball warmup drills. 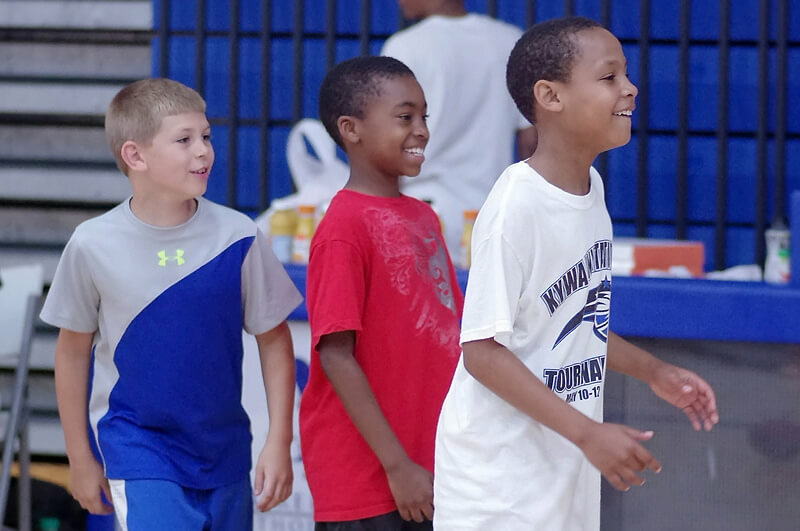 They're fun, fast-paced, and they focus on a variety of fundamental skills at once. Players will work on their ball handling skills, shooting off the move, making good passes, and hustling after rebounds. Performing these drills at game speed will allow players to improve their conditioning while competing in more game-like situations. 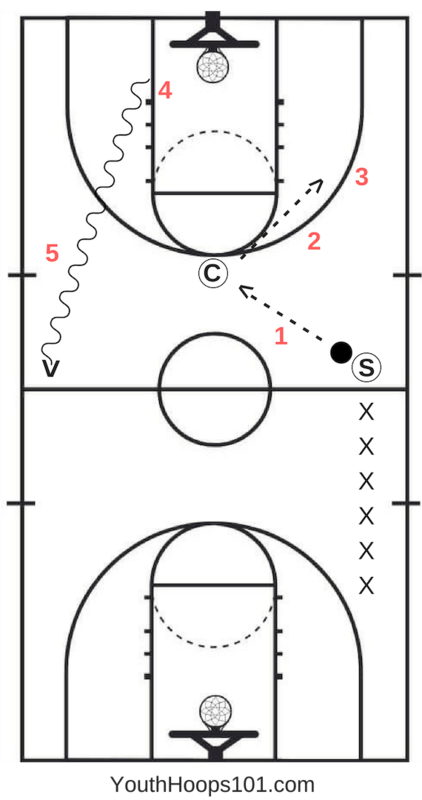 I learned this drill at a coaching clinic years ago from the coach of the USA women's basketball team. It's a warmup drill they used. I really like it because it combines passing, catching, offensive moves, dribbling, shooting, and rebounding. I used it often with my college players as well as my young kids, and it was always a favorite. Players line up at half-court along the right-hand sideline facing the basket. Coach stands at the top of the key. Encourage players to be creative. Let them come up with their own combination of basketball moves. Even the young players love the chance to put some different skills together and take it to the hole. 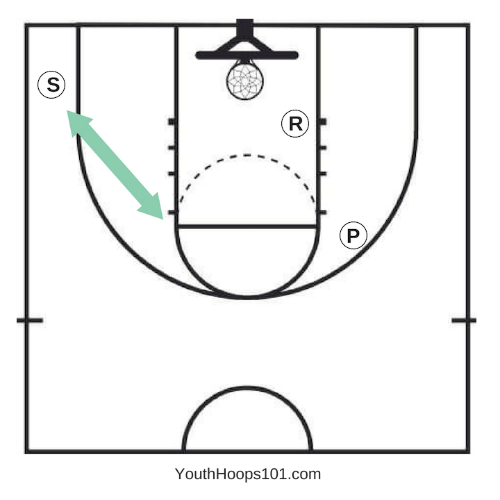 This drill requires 3 players and 2 balls. It works on shooting, passing, and rebounding. 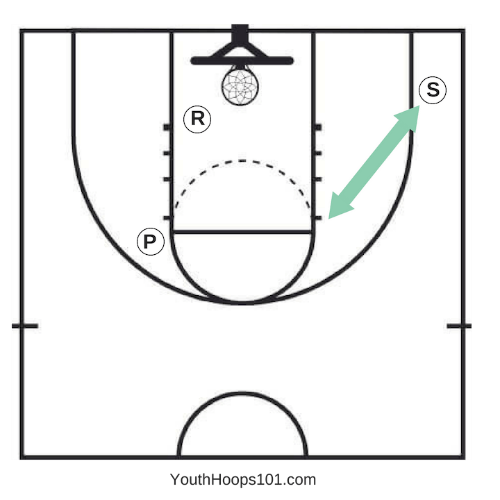 For shooting area #1, Shooter shoots from right corner, hustles over to right elbow, receives pass from Passer, shoots from elbow, hustles back to corner, etc. Adjust distance of shooting spots to match player skill level. If players hustle during this drill, they can get in a bunch of shots, passes, and rebounds in a short amount of time. Add defensive pressure using a coach or parent: Put a hand up on the Shooter, apply pressure to the Passer, or try to knock the ball away from the Rebounder.